"Facsimile of an Ancient Heraldic Manuscript"
The other heraldic object I found at Ronald Reagan International Airport in Washington, DC had not one, but two, coats of arms on it. And was considerably easier to get home than the glass coffee mug without worrying about breaking it! The heraldry there is, of course, the full achievement of arms of the United States, with the shield (Paly of thirteen argent and gules a chief azure) on the breast of a bald eagle displayed, grasping in its dexter talon an olive branch and in its sinister a sheaf of 13 arrows, holding a motto scroll in its beak, and with the crest of a glory breaking through clouds over its head. 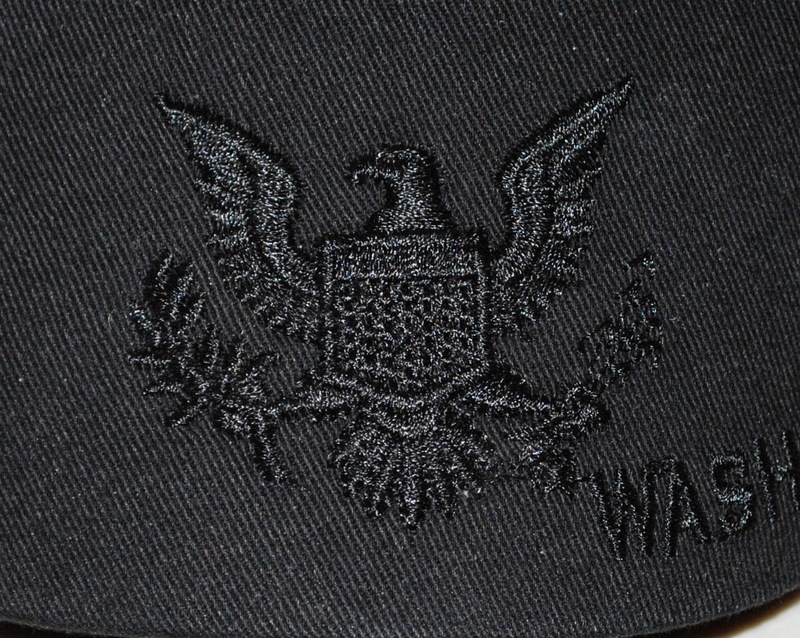 Not quite as obvious, though lightly visible in the picture above, is another, simpler depiction of the achievement on the brim of the cap, done in black on black. 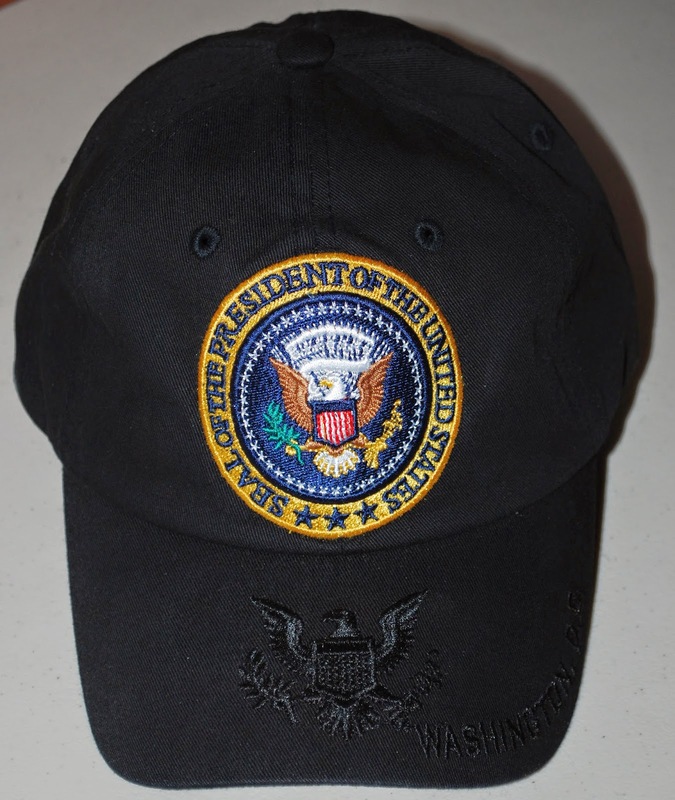 Anyway, I thought it would make a nice addition to my growing collection of heraldic caps, and it fit easily into my carry-on luggage, so it's home with me now, and worn as the mood strikes.